Rare all utilities included studio apartment that is mostly furnished (has basics except no bed). This unit is 1st floor and is very small (room is approx. 12 x 13) so single occupancy only. Unit has kitchenette (stove and small fridge) plus its own 3/4 bath (shower, toilet and sink). 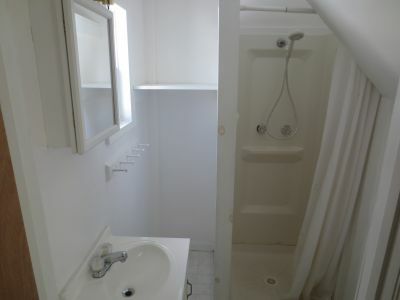 This has all utilitiies included (tenant would need to pay for their own cable or internet though). Unit is available April 3rd but we do require an application in advance of showing. Very affordable and location is walking distance to downtown, near bus route and has 1 off street parking spot included. Also located in great neighborhood and 1 of just 4 units in this building. Does require a lease and no dogs but 1 cat maybe acceptable.